1967-1971 : CERAU (Centre d'Etudes et de Recherches sur l'Aménagement Urbain, Paris) : a think-tank of Caisse des Dépôts et Consignations (CDC) focused on urban economics and sociology ; researcher (econometric models). 1971-1974 : BETURE (Bureau d'Etudes Techniques sur l'Urbanisme et l'Equipement, Paris) ; a consulting firm on urban and infrastructure projects in France and overseas (Greece, Iraq, Lebanon, Morocco, etc...) ; head of the Department of Economic Studies. 1975-1978 : City manager in Nantes (approx. 500,000) : Secretary General of the Transport Authority and CEO of Nantes Gestion Equipement (management of public facilities : parking facilities, harbors, etc...). 1978-1985 : SCET (Société Centrale pour l'Equipement du Territoire, Paris) : a state-owned holding company, head of the Transport and Parking Department (second largest operator in France in both fields), member of the board of directors of approx. 40 local and national subsidiaries. 1985-1990 : SCET : Chief Financial Officer, member of the Executive Board. (1993-1997) : chairman of two leasing companies (Flobail, Régions Bail), subsidiaries of CLF. 1998-2001 : DEXIA INTERNATIONAL Bank : head of Structured and Project Finance for France and foreign subsidiaries, member of the Executive Board. 2001-2004 : DEXIA CREDIT LOCAL Bank: head of Risk for France and foreign subsidiaries, member of the Executive Board. 2004-2005 : DEXIA CREDIT LOCAL Bank : head of Compliance for France and foreign subsidiaries. 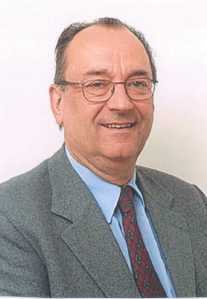 2005-2010 : President of the FNMS (French National Parking Association), director of the Union Routière Française. Ph.D. in Contemporary History, 2013 (Paris IV Sorbonne) with a thesis on "The history of American companies in France from 1890 to 1990" (read about the thesis and see diary3). Telecom ParisTech : Intercultural differences in corporate life (2009-2011). "D'ouverture en ouverture : une histoire de l'Ecole Centrale de Lyon", Dossier de la revue Technica # 600, Mars/Avril 2014. If you like this site, please bookmark it or create a link !